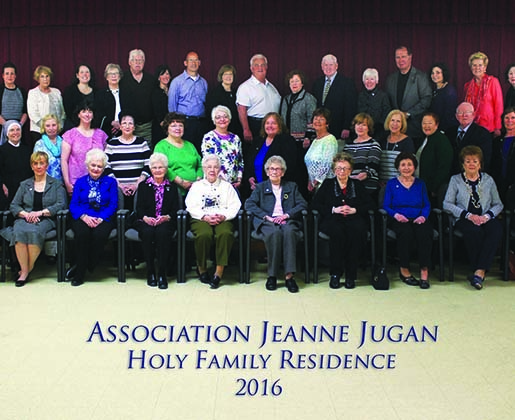 The Little Sisters of the Poor at Holy Family Residence, Scranton, welcomed five new Jeanne Jugan Associates to its lay member society, Association Jeanne Jugan (AJJ), on May 1. 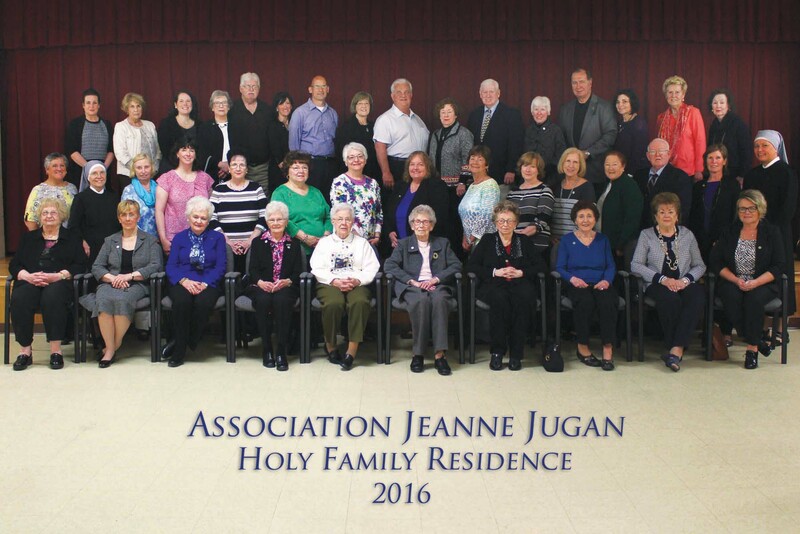 The AJJ, named in honor of the Mother Foundress of the Little Sisters of the Poor, St. Jeanne Jugan, serves as a lay apostolate that shares in the spiritual riches of the Little Sisters by participating in their mission of hospitality to the elderly poor. Following a one-year formation program, members help to spread the spirit of St. Jeanne Jugan by developing a lively faith and confidence in Divine Providence, a personal love for Jesus recognized in the aged poor, and a spirit of praise. The AJJ serves as an extension of the Little Sisters’ work by participating in the pastoral, recreational, and cultural activities in their home. Associates and associates-in-training of the Little Sisters of the Poor’s Association Jeanne Jugan at Holy Family Residence, Scranton: First row (seated), left to right: Marlene Tonkin; Anne Ruddy; Nancy Wilson, AJJ co-coordinator; Norma Yeager; Eleanor Scalese; Rosemary Blomberg; Connie Terrery; Joan Holzman; Pat Senkow and Jadwiga Krajewski. Second row, left to right: Ann Marie Marx; Sr. Kathleen Murphy, lsp, AJJ facilitator; Aileen Alunni; Jackie Galvin; Lorraine Borthwick; Carolyn Coniff; Lenore Ruddy; Patricia Avery; Marlene Deily; Margy Rainey; Mary Clare Brill; MaryCarol Kanton; Joe Sheridan; Cathy Lavelle and Mother Theresa Louisa Woo-Ching, lsp. Third row, left to right: Kathleen Statsman; Mary Kane; Mary Sheils, AJJ co-coordinator; Pat Aronica; Michael Andrews; Ann Marie Fulmer; George Fulmer; Gayle Joseph; Fred Joseph; Nancy Walsh; Joseph Reilly; Mary Patricia Jordano; Bruce Ceccacci; Maria Ceccacci; Cathy Skrutski and Mary Kay Dwyer. Absent from photo: Anne Armezzani, Nancy Cicerini, Marianne Ferrario, Pete Kanton, Barb Marta, Marsha Scotti, Ann Marie Skrutski and Judi Zanghi.